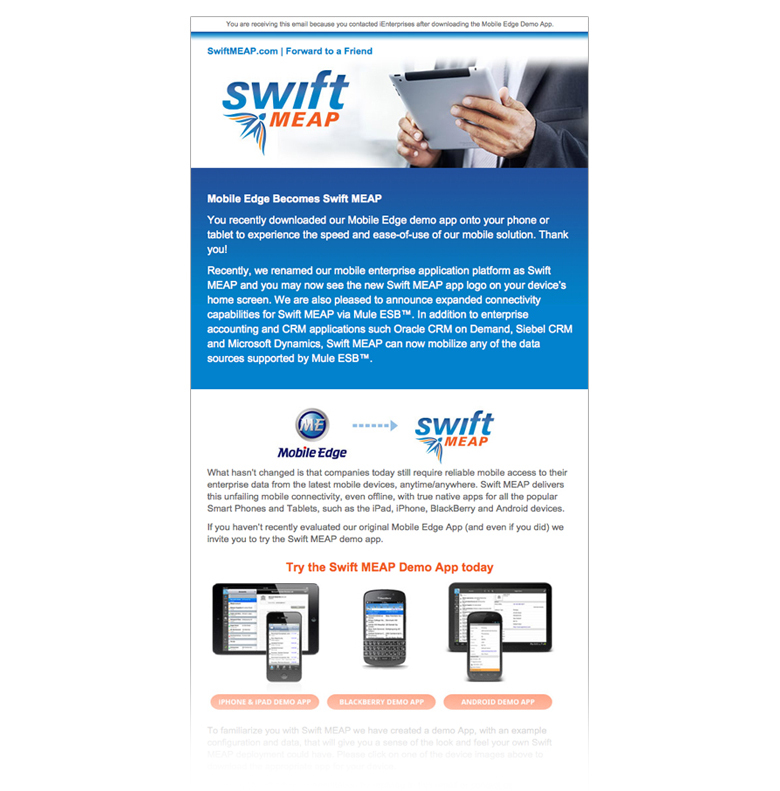 Swift MEAP is a mobile development platform created by iEnterprises to help businesses convert their enterprise software to native apps for their mobile devices. 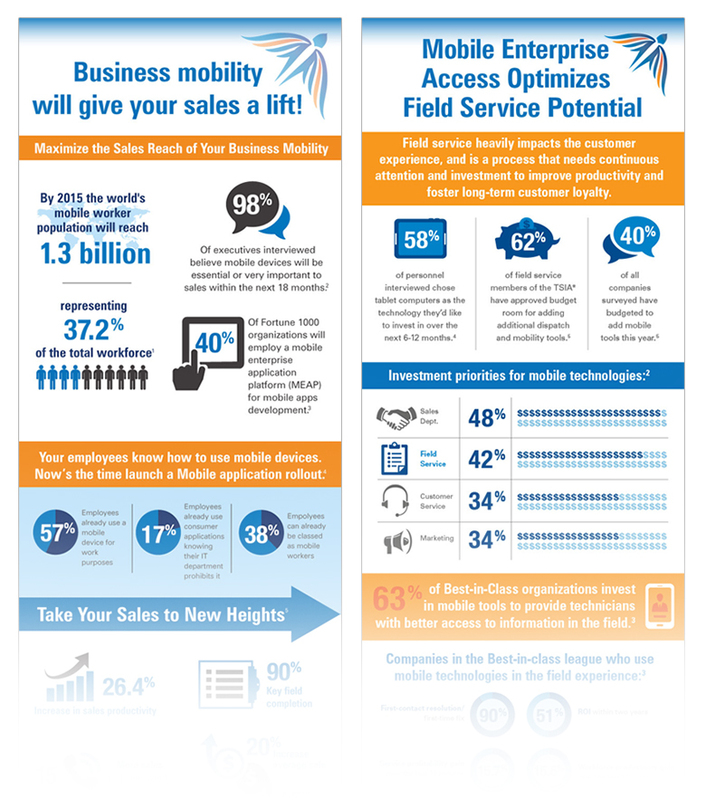 Visible Logic started the branding work by naming the product, designing the logo, and creating a small web site very quickly. 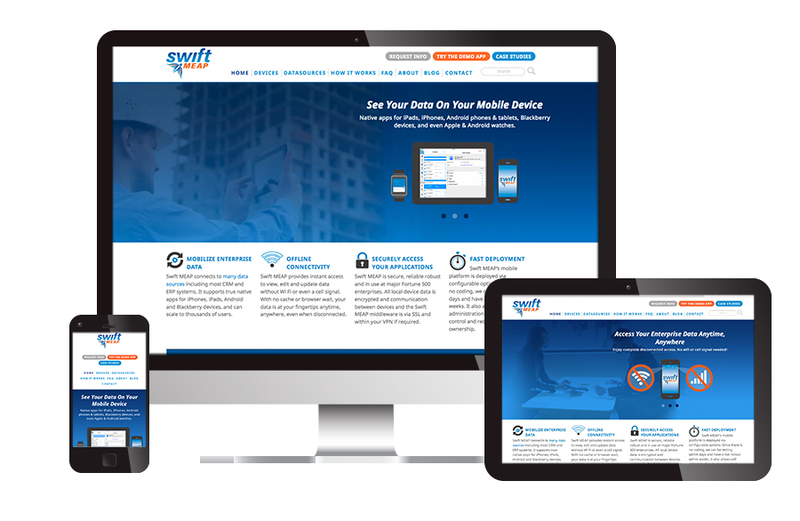 Visible Logic has continued as the marketing arm for Swift MEAP, by expanding their web site, writing blogs, developing video demos and benefit-driven videos, sending regular enewsletters, and designing print materials and infographics to explain the features and demonstrate the benefits of their product. 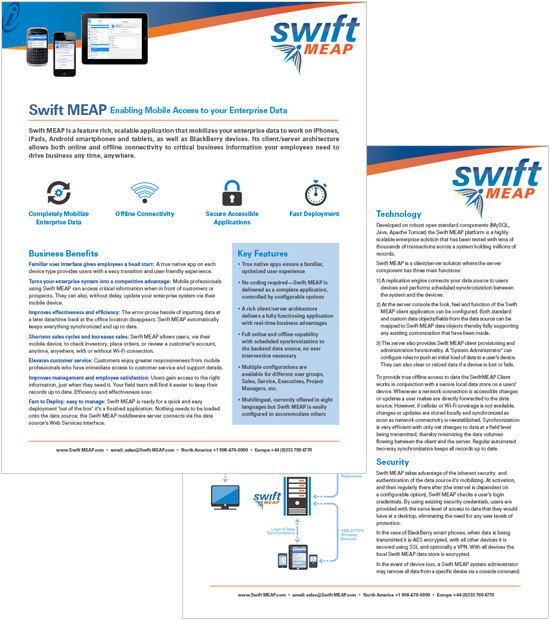 See the complete Swift MEAP case study.